Dr Brasch completed an MBChB at the University Otago in 1991, and was also awarded a BMedSc following a year spent using stereological techniques to study cervical intraepithelial neoplasia. 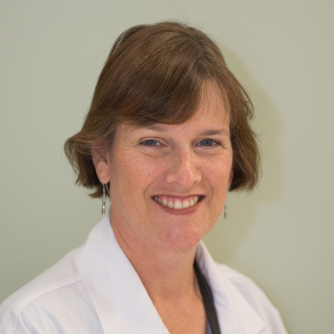 She specialises in anatomical pathology, having trained in Auckland and Wellington. She became a Fellow of the Royal Australasian College of Pathologists in 1999. Since 2000 she has worked as a consultant pathologist in the Department of Pathology at Hutt Hospital. She also teaches surgical and pathology registrars. Dr Brasch was Clinical Head of the Pathology Department from 2006 to 2014, when she joined GMRI as a part-time research fellow. Dr Brasch’s areas of pathology interest include vascular anomalies, head and neck cancer, breast cancer and skin cancer. She has been a member of the Centre for the Study and Treatment of Vascular Birthmarks, a national referral centre based at Hutt Hospital, and a member of the Multidisciplinary Head and Neck Cancer Team based at Wellington Regional Hospital. At the GMRI Dr Brasch is focusing on head and neck cancer research. She has been a member of Dr Tan’s team since 2002, and has contributed to numerous publications by the group since then.